The earliest historical mention of a lanyards is from 15th century France. The word “lanière” referred to a thong or strap apparatus. In the French military, lanyards were used to connect a pistol, sword or whistle (for signalling) to a uniform semi-permanently. Lanyards were commonly used by cavalry and naval officers at sea. The reason being that a pistol lanyard could easily be removed and reattached by the user while staying connected to the pistol whether it is drawn or in a holster. In the military, lanyards of various colour combinations and braid patterns are worn on the shoulders of uniforms to denote the wearer’s qualification or regimental affiliation. In horse regiments, lanyards were worn on the left, enabling a rider to pull a whistle from the left tunic pocket and maintain communication with his troop. Members of the British Royal Artillery wear a lanyard which originally held a key for adjusting the fuzes of explosive shells. So whilst lanyards might seem like a modern phenomena they are something that has a long history but which has adapted to remain relevant. Apart from promotional lanyards and the corporate use there are other uses for lanyards. These days many electronic devises require a lanyard or are enhanced by one. There are a plethora or devises such as cameras, mobile phones, MP3 players, and USBS flash drive which require a lanyard to prevent loss. Often they are branded which is a convenient way for companies to tie in a simple cost effective product with a more expensive devise. I am sure we have all see people with anyone of these devises hanging from their necks. Many corporate uniforms now include a lanyard as well. 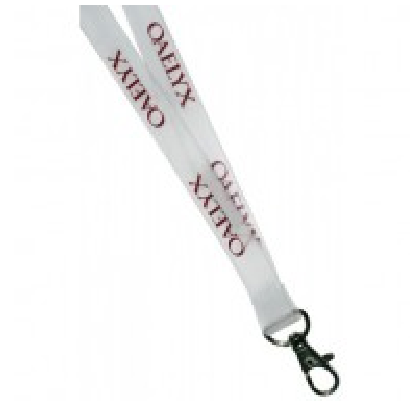 By branding the lanyard they try to ensure that there is no clash with their corporate branded. There is nothing worse then seeing one of your staff in their uniform with the logo of another company around their neck. Worst still is if they have that of one of your competitors. So how better to promote branding continuity then to supply all the necessary branded items for your staff.